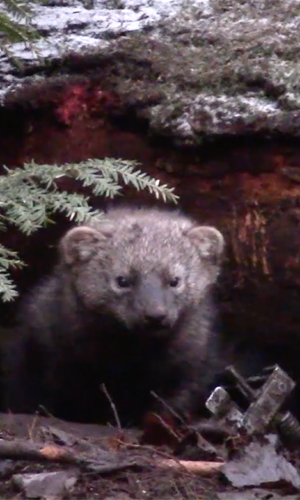 The Pennsylvania fisher was reintroduced into the Pennsylvania wilderness from 1994-1998. As stated on the PA game commission’s website, the reintroduction was put into action as a joint project between the Pennsylvania Game Commission, the Department of Conservation and Natural Resources and the Pennsylvania State University. Interestingly enough, just 190 fishers were placed within 6 northern Pennsylvania sites. Spend enough time in the wild now and you’ll find evidence of them everywhere. I’ve personally caught their movement from fall tree stands and have even called them in while spring gobbler hunting. The sleek and fearless creature has really caught my attention as an outdoorsmen throughout the past few years and more so has really established some varying opinions about wether or not it should have been revived within the the Pennsylvania wild. As a trapper I’ve become extremely fond of the Fisher’s wilderness prowess. Cutting and following fisher tracks in the dead of winter in a blanket of snow allows you to navigate the daily routinesof the elusive predator. You’ll find it winding throughout the forest floor, investigating carcasses, crossing logs, and finding high points to achieve better optical vantage points as it works it’s way through the wild. It’s beautiful pelt only adds to the luster of locking one up on the trapline. outdoorsmen, I personally never judge the creature for doing what a creature has to do to survive. A coyote hunts fawns because it has to survive the same as we hunt deer as a means of providing food for our families. Faulting the coyote for being a coyote is pretty laughable. In my opinion, if you dislike the predator’s actions that bear down on your deer or turkey populations then as an outdoorsmen and a predator you need to be out balancing the odds. In my opinion, I would imagine that a lot of the fuss around the fisher species comes from the legal harvest limit of only 1 per season for anyone who purchases a fisher permit. Unlike the coyote where in there is an unlimited harvest number you can trap or hunt throughout the year. Let’s start up a conversation and develop some documented evidence based around the fisher species and the benefits and downfalls to it’s reintroduction into the Pennsylvania wild. Feel free to comment in the section below and verbalize your opinions and experiences with the fisher.